I am so happy to host this amazing guest post (which of course is a sweet because I can’t possibly go a day without some decadent sugary thing these days…) from the lovely and talented Ang of Juggling Act Mama! I’m due this weekend (#babywatch2015) and Ang has been amazing volunteering to do some posts for my inevitable time off. She is such a dear, and her blog/recipes/crafts are always spot on! 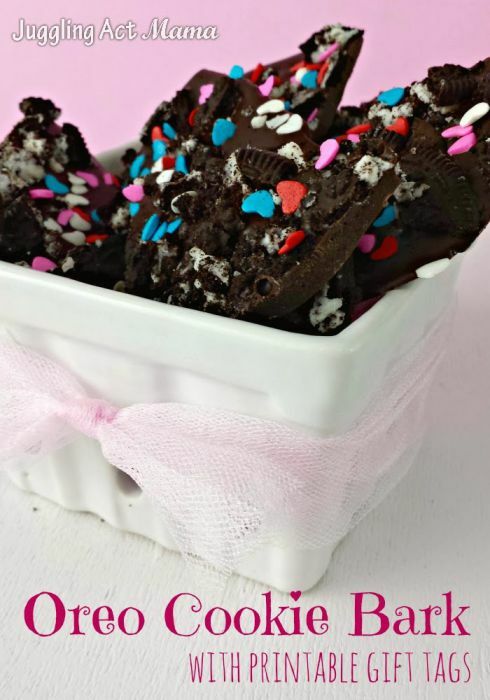 This decadent Chocolate Peanut Butter Cup Bark is the perfect homemade gift for any peanut butter cup lover! Hello! I’m Ang from Juggling Act Mama. I’m thrilled to be contributing for Kayla and can’t wait to hear the news of her new arrival any day now! 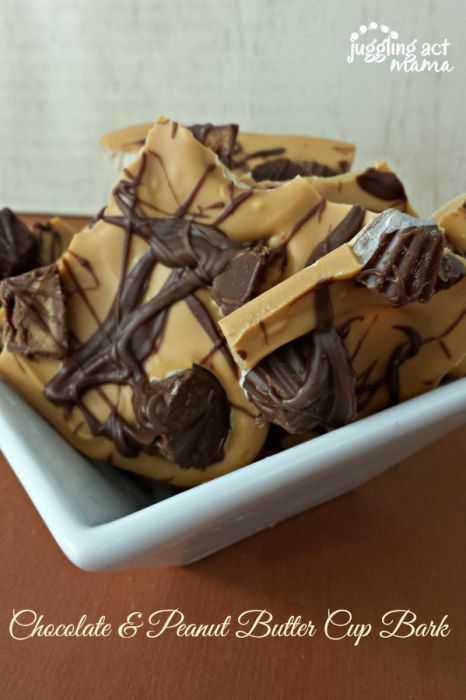 Today I’m sharing with you a delicious and quick recipe – Chocolate Peanut Butter Cup Bark. 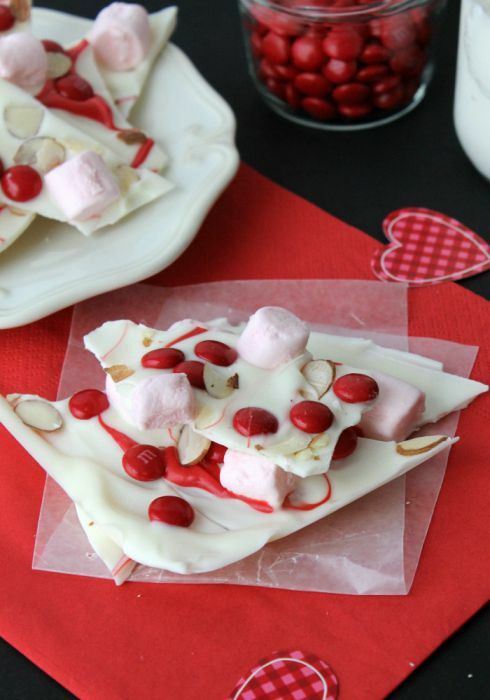 You can whip up a batch of this bark in just a few minutes and it makes a wonderful gift. With teacher’s appreciation week and mother’s day coming up next week, this is a great recipe you can make the the kiddos. Spread a piece of parchment paper out on a cookie sheet. Add the peanut butter candy melts to a small bowl and microwave according to the instructions on the package. 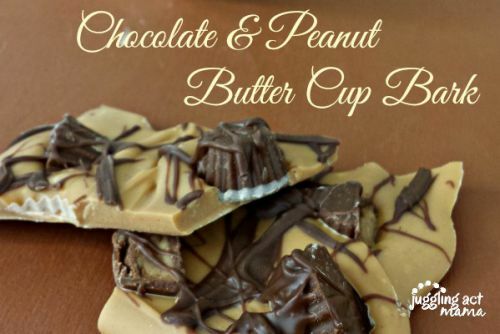 Once the peanut butter layer is smooth, spread it out on the parchment paper so that it is about 1/4-1/2 inch thick. Sprinkle the peanut butter cups on top, pressing them gently into the melted candy. Melt the dark chocolate candy melts according to the directions on the package, then drizzle over the top of the bark. Refrigerate until the bark is hard. Break it into pieces with your hands (some of the topping will fall off, but that’s ok). Pack into a pretty container or bag and gift away! Ang Paris is a crafting, cooking, multi-tasking full time blogger at Juggling Act Mama. Graduating from Eckerd College, Ang has a degree in Creative Writing & Journalism. She lives in NH where she juggles being a wife and mother with her passion for writing. Visit her on Twitter, Facebook, Pinterest or Instagram!